It’s pretty rare for me to feature a guest post here but when Tim Leffel contacted me I knew it’d be a good one. I’ve followed Tim’s work for years and I know he has a lot of great ideas about living abroad and that we think alike on how huge the benefits are. 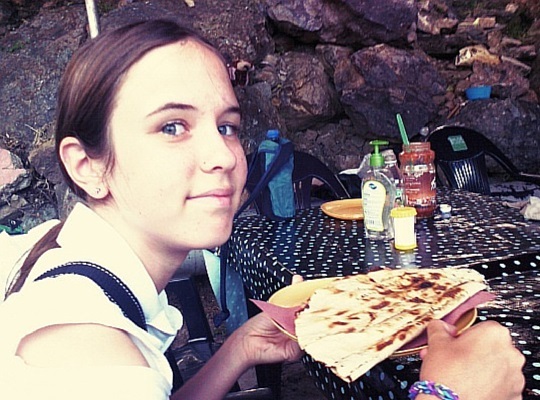 He’s currently living in Guanajuato, Mexico, with his wife and their 14-year-old daughter, and he wanted to write a post about just how much his daughter is benefiting from living away from her home country. I’m inspired to hear about a child ten years older than mine getting so much out of a stint living abroad and I’m getting ideas for my own son … but anyway, here’s Tim. More about him at the bottom! Are you doing your kids a disservice by moving abroad? Or are you giving them a terrific gift for life? In any area with a sizable number of expatriates, you’ll find plenty of families living a new life away from their home country. Some are doing it because of a job transfer, but many, like mine, are just doing it because it enables a more enriching experience. At least that’s why my wife and I are doing it—in addition to the significant financial savings we get from trading the USA for Mexico. When people ask my 14-year-old daughter Alina how she’s liking the life of living abroad, however, she’ll give a typical teenager answer. She’ll say that she’d rather be back in Tampa or Nashville, where she lived and went to school before. When you ask her why, she’ll reel off a bunch of superficial reasons having to do with things like her favorite junk food, DVRs to record 300 channels, and infinite shopping options. Whether she likes it or not, however, she is getting benefits from this experience that will last a lifetime. Trying to learn a second language is hard. The older you get, the harder it seems to get. Those who can be immersed in it at an early age tend to retain more and have less of an accent. 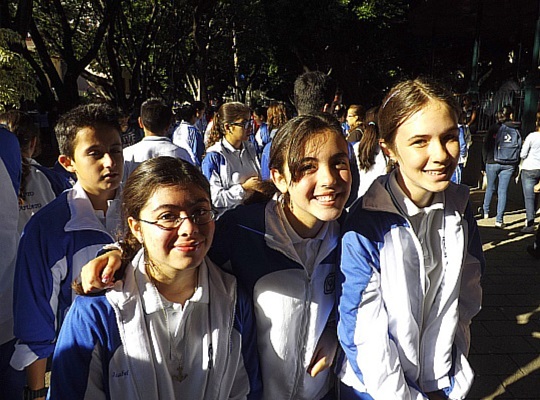 By the time we leave Mexico she’ll have spent three solid years in Spanish-only schools, on top of all the lessons and travels outside of the classroom. She talks more like a native speaker than a gringo now and she can rattle on for hours with her friends. For an American, fluency in Spanish can be a huge plus in a future career, whether that’s in an obvious field like tourism or more esoteric jobs that haven’t even shown up yet. It also can’t hurt on a university application to be bilingual and that leads to a lot more options when it comes to studying abroad. When you speak to people who have not spent much time abroad, they tend to be quite clueless about how the rest of the world lives. Since the majority of the rest of the world is poorer, less mobile, more family-centric, and of a different religion, this is not good. You can’t be empathetic to the plight of people not like you if you only mingle with people who are just like you. Living in another country for years makes your opinions less rigid, your blinders more flimsy, and your mind more open. When you’ve spent your whole life in one place, you tend to take on the beliefs and habits of those around you, whether they’re religious, cultural, or family beliefs. When you’ve spent your life in different places, however, it’s harder for dogmatic beliefs to stick around unless there’s a good reason for them to stay. Questions like “Why?” and “Says who?” crop up more often and there’s an innate examination of the truth behind every statement. As a parent this can get annoying if you’re expecting blind obedience at every turn. As a person raising a child you hope will think for himself or herself though, without being pushed into things by peer pressure, a lack of blind acceptance is a wonderful thing. The education system the kids are exposed to in Alina’s small private school is one based on collaborative learning, unsupervised group projects (with a deadline), and self-directed study. In other words, it’s a lot like life in the real world of now, rather than the Industrial Revolution world of top-down rote learning. When she was in elementary school the first time we lived abroad, she attended a Waldorf School, which was very touchy-feely in both a literal and figurative sense. Classes involved plays and woodworking more than math equations and history dates. Every education system has its flaws, of course, but I’m happy that she’s had the chance to do more than pass tests with information that went in one ear and out the other, never to be heard or used again. It’s hard to understand how materialistic and competitive your “first world” home country is until you leave it for a while and then come back. When I returned to the United States recently to visit relatives, I was struck by how pervasive the “Buy buy buy!” messages are nearly every waking minute and how often the mass media equates success with wealth. Shopping is sold as fulfilling entertainment. College admissions and career advancements are presented as winner/loser competitions. We’re constantly told that having more stuff equals having more happiness, even though nearly any study you read directly contradicts that premise. Where we live in Mexico, income disparity is a lot more flat and lives are a lot less segregated. She’s had wealthy friends here and she’s had others who were dirt poor. The houses are close together and more people walk or take the bus than drive. There are very few gated communities where the rich live in isolation. If someone has a huge house, it’s usually because there are three or four generations living there. In the TV shows and movies, the person constantly displaying ostentatious wealth is almost sure to be the bad guy. It’s hard for a child to live in another country and not overcome small obstacles on a regular basis. Ours has to try different food, ask questions of strangers (in a different language), and figure out where to find things in a place where convenience is not a given. She has to be proactive with her teachers and fellow students when she doesn’t understand the instructions. As a result of all this I know she can figure out how to solve problems more easily in her travels and daily errands in the future. She has learned adaptation, which is perhaps the greatest skill of all in the 21st century. Leaving one country to live in another doesn’t automatically mean forsaking one culture for another. For most it’s not permanent anyway. For your children it can be like a vitamin injection, however, feeding them energy that’s going to make them stronger and smarter for life. As promised – more about Tim! Tim Leffel is a travel writer, blogger, and editor who is currently on his second stint of living abroad in Guanajuato, Mexico. 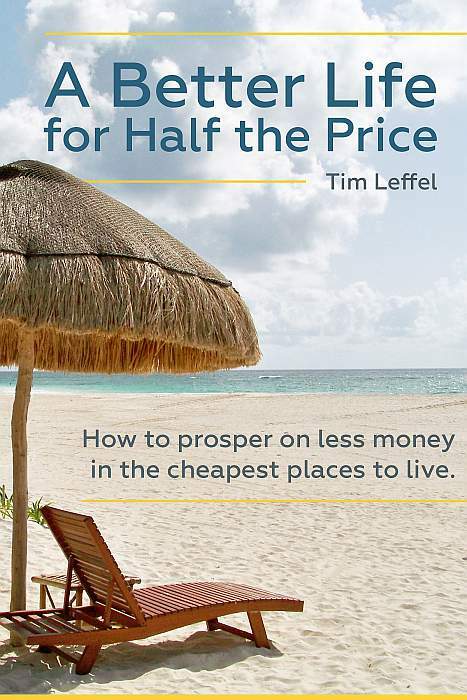 His latest book is A Better Life for Half the Price: How to prosper on less money in the cheapest places to live (yep, that’s it over there on the right – Tim knows his stuff so I recommend it). See regular writings at his Cheapest Destinations Blog. Living abroad sounds like a very enriching experience. Personally, I wonder about doing it “stuck” in my electric wheelchair and if I should just cherish the best that the USA can offer while trying to forget about the worst moments I experience with no cultural barriers. Any thoughts? I was a foreign service brat, and grew up living in four countries outside the U.S. My family’s most challenging posting? Metropolitan Washington, DC! Even though my childhood was more insulated than Tim’s daughter’s, I was still exposed to many dimensions of life that my stateside cousins knew nothing of. One advantage he didn’t mention is that I met international people on a regular basis, in addition to the local people wherever we lived. I’m sure my varied childhood abroad influenced my decision to live in Mexico part-time as an adult. Not a single regret about my upbringing– I wouldn’t trade it for a second! Louisa, I think you’re so right – that meeting people from different countries/cultures/backgrounds is something that has a profound influence on how you see the world. Definitely in a good way! In doing a little Internet research, I discovered that the quote above, attributed to Cameron, actually originated with Einstein. 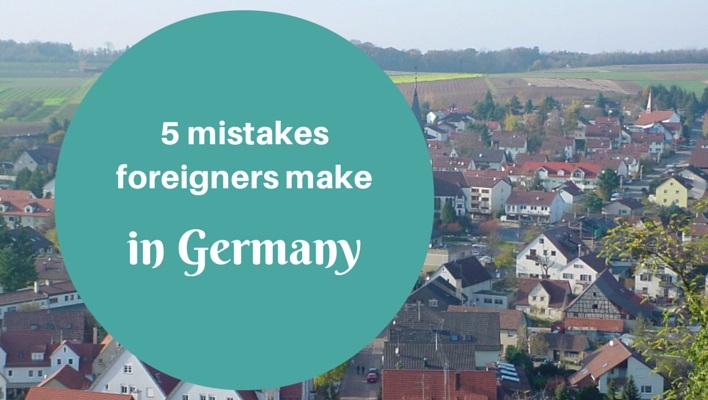 Loved the blog and am having a similar expat experience of my own in Europe right now.